A view of the mighty Mississippi. I had a great run along the River this morning – so beautiful and so powerful! 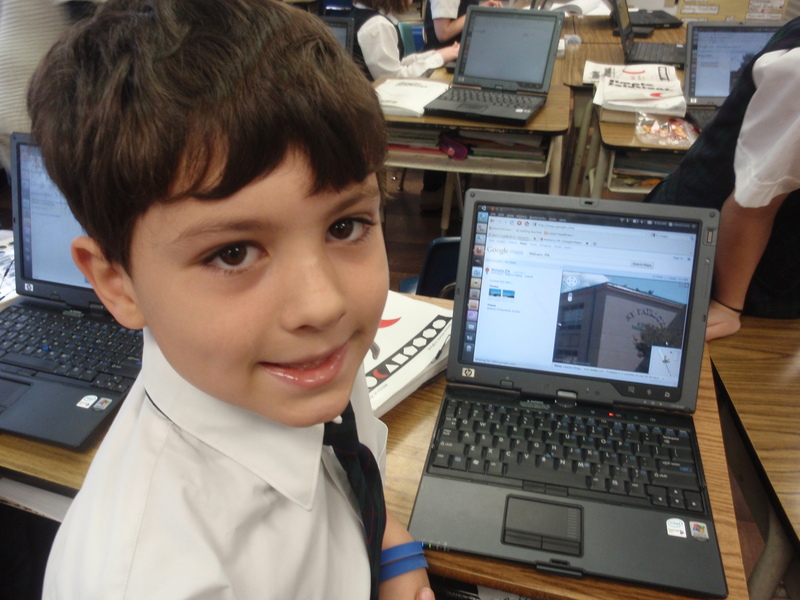 This morning I have been in 2 sessions – one was on 21st Century Learning and the Wikiway. The speaker talked about how he and his school are using wikis as a way to have great student and teacher collaboration. I learned a lot in the session and I found myself smiling because the teachers at St. Pat’s are setting up classroom wikis. I just saw Mrs. Brazunas’ wiki that she set up for her classes. She has a great project set up for her 8th grade Science classes and they will be setting up wikis on the Solar System. Go Warriors! Opening liturgy in New Orleans with over 8000 Catholic educators. I have the wonderful opportunity to be attending the National Catholic Education Association (NCEA) in New Orleans. So far I have attended some wonderful sessions – right now I am sitting in a session about 1 to 1 Laptop Initiative – something I am thinking about doing beginning with our 8th graders next year. Two educators are talking about some of their successes and some of their frustrations in beginning a program like this – love hearing from other educators and learning from them! Yesterday, Fr. 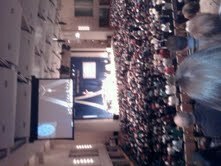 Michael Himes, a professor at Boston College, gave the keynote address to over 8000 Catholic educators. He talked about Catholic educators being charged with beginning an important conversation with kids. This conversation must contain giving ourselves away to others through service. I was thinking we are doing a very good job of this at St. Pat’s! Fr.also encouraged us to seek the future, move away from the past, but always bring our ancestors with us as we move ahead – something to think about as we forge ahead at St. Pat’s. Fr. Himes ended is talk by asking: “Why in the name of God would anybody be anything but a Catholic school teacher?” – I have no idea – it is the best job in the world and it is even greater doing that at St. Pat’s! On Friday night, April 15, St. Pat’s hosted a “Hoops for Haiti” basketball tournament to support the Matthew 25 Orphanage in Haiti. Our kids and families came out in droves to play in 3 on 3 and 2 on 2 games, referee, sell refreshments, cheer, keep score and take tons of pictures. Besides playing in the games and supporting a wonderful cause, everyone agreed that it was a fun way to spend a Friday evening. Special thanks go out to Mr. Fran Lynam who organized the event. 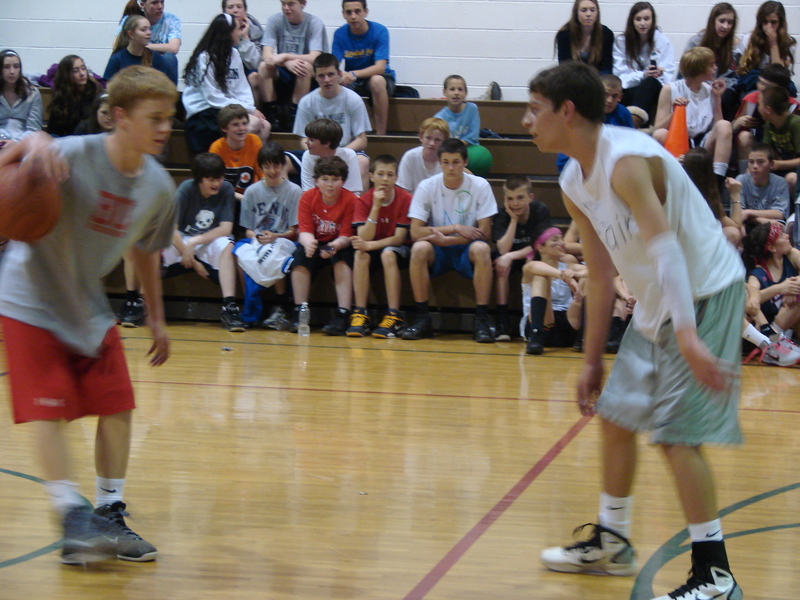 Fran had everyone excited about participating and the excitement was evident on Friday night in the St. Pat’s gym. The event raised over $1400.00 and was a wonderful way to begin Holy Week! Go Warriors! Who Says Learning Can’t Be Fun?? 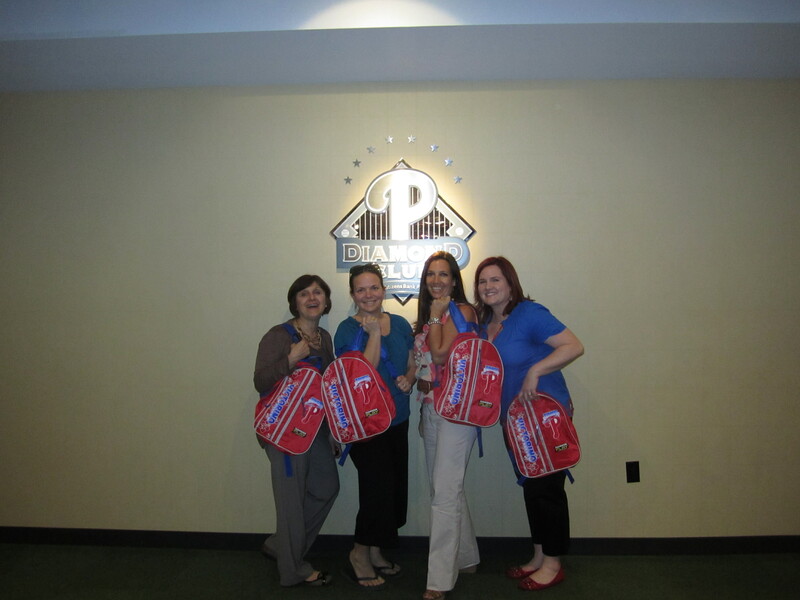 This week a couple of lucky teachers were able to attend an after school workshop hosted by the Phillies. 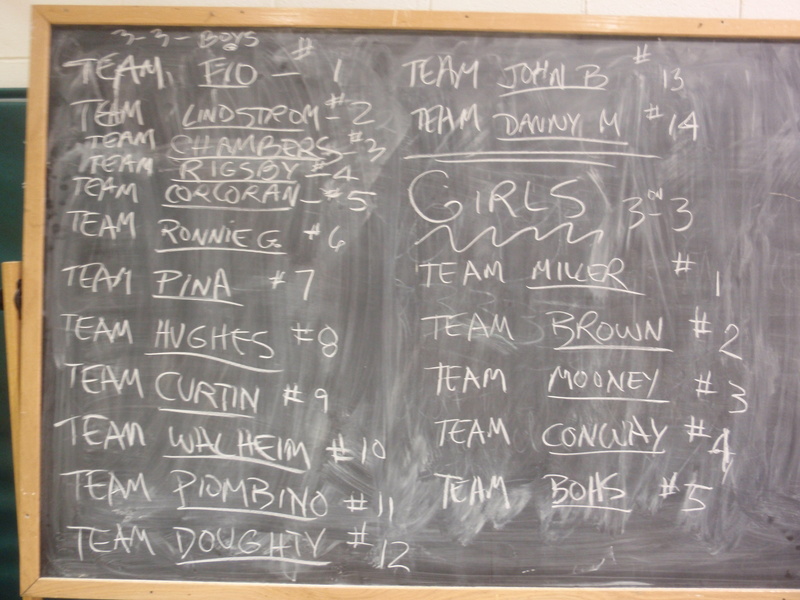 The focus of the class was to give teachers ideas on how to use baseball and the newspaper in the classroom. Lesson plans and ideas integrating Language Arts, Math and Social Studies were shared among teachers from the Philadelphia area and the Phillies educational staff. A bonus of the workshop was a visit from the Philly Phanatic and a tour of the Phillies’ educational classroom and resources. 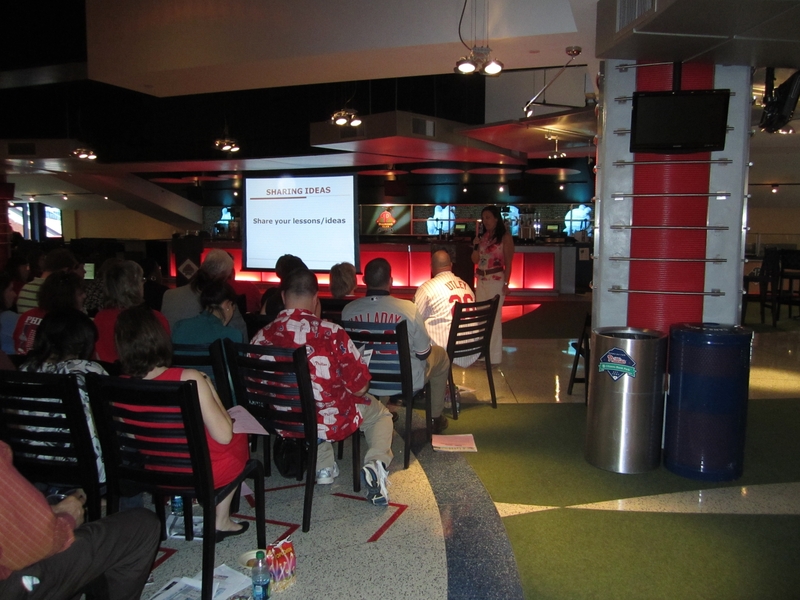 Fun, Phillies and Learning – it does not get much better than that! Go Phils! Mrs. Eisenhardt shares an idea with fellow teachers. It is almost impossible not to feel the excitement in the air when you walk into St. Pat’s School! And what is this excitement all about? 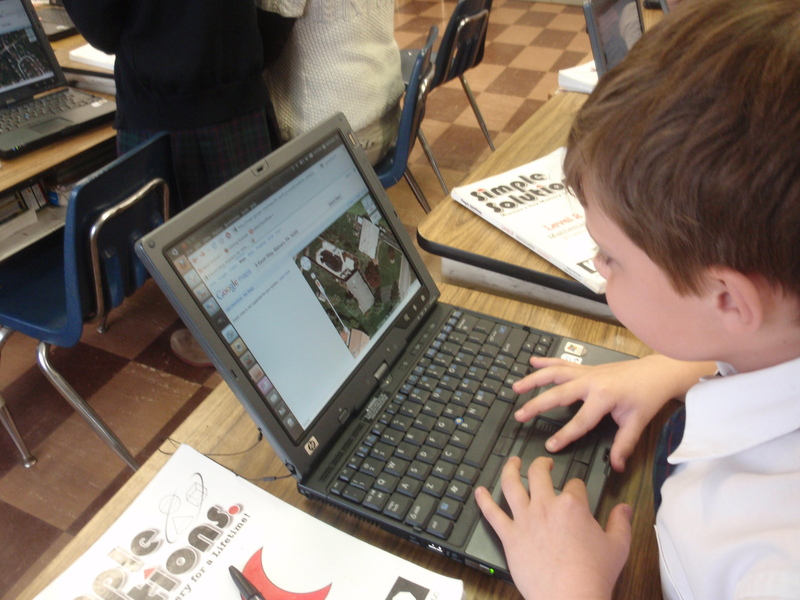 – the total integration of technology into our curriculum! I just left a 2nd grade classroom and each student was working with a tablet. 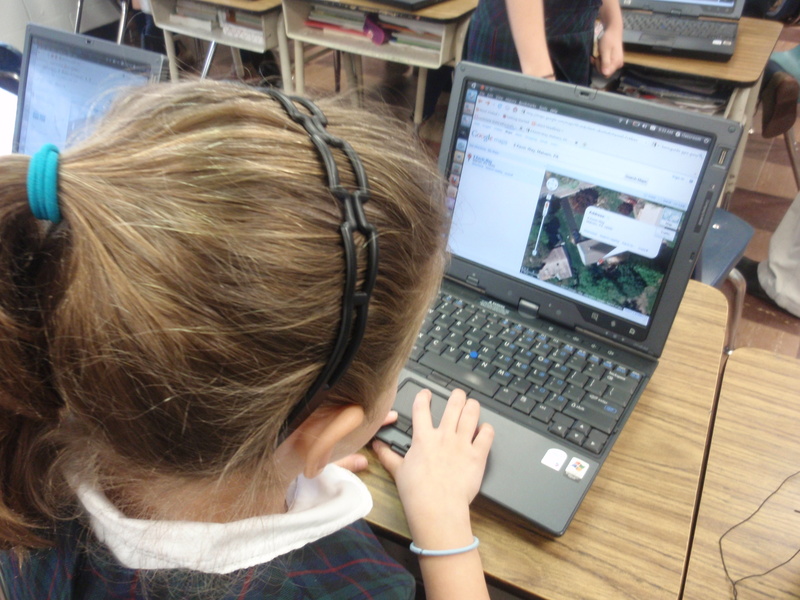 They were just discovering Google Earth for the first time and were locating their homes, our school, and other locations all around the world – I think I even saw someone looking at Citizens Bank Park to see if the Phillies were taking batting practice for Opening Day! These pictures do not do justice to how excited and engaged the students in 2A were during this activity. I just love to see how technology is enhancing our learning experience – hats off to our teachers who are working hard to integrate technology more and more!